Pakistan has a weak industrial base ever since its independence. Though industrialisation is regarded essential for rapid development few countries have focused on industrial growth, labour development and market enhancement as main national agenda. How does smuggling and counterfeiting affect our country? a layman may ask. When things are smuggled and counterfeited, government does not get revenue, ultimately the overall economy of the country is affected. What is data exclusivity? What are its costs and benefits? How does it differ from data protection? And what does the TRIPS Agreement say about the two? These are the important questions. Restoring the sanctity of the electoral rolls can have a far-reaching implication for the way we choose our government, hold it accountable and force it to deliver. The last voter’s list was marred with errors and contradictions. This has been a legacy of decades of manipulation, where electoral data became an important instrument for electoral engineering. The decision by the Election Commission of Pakistan to update and streamline all electoral lists using latest technological tools is likely to revolutionise the voting process. So Moamer Qaddafi is finally dead, dragged through the streets of his home town, disgraced and humiliated in front of an assembled mob. ‘Twas a perfectly choreographed show, at the conclusion of which the ‘free’ world — we are told — heaved a collective sigh of relief. It is intriguing that even Saddam Hussein was granted a (admittedly sham) trial whereas Qaddafi was consigned to history in decidedly more brutal fashion. Either way, the latest most-hated ‘enemy of democracy’ is gone. 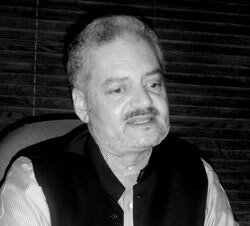 With an experience spanning 25 years in the development sector, Qazi Azmat Isa is known for his strong belief in involving the masses in programmes aimed at their uplift. He has served in the World Bank as rural and social sector specialist for 12 years. Isa has also managed the largest community-driven development programme in the World Bank’s portfolio in Kabul, Afghanistan and initiated a nationwide rural enterprise development programme in this war-torn country. Both Pakistan and India are members of the World Trade Organisation and also of the South Asia Free Trade Agreement. The WTO agreement requires each member state to grant Most Favoured Nation (MFN) status to all other members to facilitate smooth trade flows. SAFTA takes up closer economic cooperation among all member states of SAARC. The countries that solely relied on agriculture have remained poor and underdeveloped, whereas nations which gave weight to rapid development to industry achieved high rates of development. Advanced countries like America, Germany, Great Britain, Japan, Russia and fast growing economies like China, India, Brazil, and South Africa encouraged industrialisation on a large scale. The advantages of technological change were channeled into agriculture. They developed industry which also brought revolution by mechanisations in agricultural sector. The national income increased. The balance of payments considerably improved. There was increase in employment. In return, these countries achieved balanced growth in various sectors of economy. Since independence, successive governments in Pakistan have been utilising resources — domestic as well as external — for industrial growth. However, results were not according to the expectations and industrial sector remained largely dependent, thriving on subsidies and government incentives. The sector is inherently weak and has failed to graduate from the status of a trading class to the level of entrepreneurship. It still cannot survive in a competitive environment. It has routinely claimed the absence of an enabling investment environment within the country, but has failed to make its mark abroad, even where a congenial enabling environment is available. Among various factors of sluggish industrial growth is that labour force are not regarded as main stakeholders of industrial and trade growth thus lost initiative, ownership and incentive. Pakistan, over these years, developed diversified base in manufactures ranging from essential consumer goods of chemicals steel, heavy engineering and machines and tool industries. Domestic production of items such as refined sugar steel, fertilizer, cement, etc, is helping in import substitution and saves foreign exchange. Industrial evolution in Pakistan can be categorized into four stages. From 1950s to the early 1960s the growth was slow due to lack of capital, technical know-how, absence of entrepreneurship, etc. However, in the early 1960s a large number of new industries, such as woolen and worsted yarn, cycle tyre and tubes, paints, varnishes and glass were established. The production capacity of the already existing units like fertilizers, jute, paper, DDT was considerably expanded. The reduction of export duties and the introduction of export bonus scheme increased export of the manufactured goods. There was all round development of industries particularly in agricultural processing food products and textiles. In the decades of 1960s and 70s the incentive-push environments for investment, better co-ordination between industrial corporations, and above all political stability led to the widening of industrial base. The country achieved self-sufficiency in essential consumer items. There was a shift in the establishment of consumer goods industries to heavy industries. In short, the industrial performance in terms of growth, export and productivity increased during this decade. From the 1970s onwards, the industrial performance in terms of growth, exports and production was disappointing. Various reasons can be cited for the poor performance of the manufacturing sector. Separation of East Pakistan, war with India, the suspension of foreign aid, loss of indigenous market in East Pakistan, fall in exports, devaluation to the extent of 131 percent, nationalisation of industries, etc, caused a fall in the output of large scale industries. The annual growth rate fell to 2.8 percent in the industrial sector in this period. The 1973 nationalisation programme, which placed 10 basic industries wholly within the public sector, was reversed in 1991 with the enactment of an ambitious privatization program. In 1992, the government began auctioning off majority control in nearly all public sector industrial enterprises, including those manufacturing chemicals, fertilizers, engineering products, petroleum products, cement, automobiles, and other industrial products requiring a high level of capital investment, to private investors. In 1995, however, the speed of privatization began to slow down. The share of industrial sector was 18.2 percent in GDP in 2003-04 and decreased to 15.6 percent in 2004-05 and remained in this range ever since. The main factors which contributed to rapid economic growth supporting were monetary policy, financial discipline, consistency and continuity of development policies, strengthening of domestic demand continuously improving macroeconomic environment, a stable rate global expansion of markets due to liberalization of trade in 2005. The overall manufacturing recorded growth of 9.9 percent in 2005-06 and 8.45 percent in 2006-07. However, what is not recognised and acknowledged for this impressive growth and achievements of industrial sector were the contribution and hard work of industrial labor and informal workers. The privatised industrial units relied mainly on informal or piece rate workers that are involved in manufacturing and post-manufacturing tasks such as embroidery, carpet weaving and handlooms, woodwork and other handicrafts, bangle making, leather products, soccer ball production, dates cleaning, food packing and other smaller tasks. Massive deregulation and privatisation of the economic system under neo-liberal policies promoted broadening of the informal sector labour economy with various forms of underpaid and insecure work expanding such as contractual, temporary as well as piece rate work. Piece rate work is carried out at home, in squatter settlement neighborhoods as well as in the rural areas. Although men are also part of this labour force, it is believed that a vast majority of homebased work is carried out by women; this particular labour sector is now often labeled as Homebased Workers (HBWs). This global phenomenon of increase in the number of homebased workers, as well as intensification of the quantity and category of work in this sector was also felt in the Pakistan’s informal labour sector. Ironically, this intensification of women labour and workforce coupled with worst social, legal, political and economic indicators in Pakistan marginalised women and further exacerbated their socio-economic conditions. According to recent surveys, the total workforce of homebased work force came to approximately 12 million women. The homebased women’s urban work force was estimated to be 3 (26 percent) million and the rural work force 9 (74 percent) million. Increase in inflation and poor economic growth resulted in the massive presence of homebased women workers since 1990. The major reason for women to be engaged in homebased work was poverty and inability to make ends meet due to rising inflation. For women workers in Pakistan, external market forces and internal factors such as patriarchy and feudal control suppressed their visibility, severally limiting their mobility and giving them little or no access to education. These homebased workers are bounded by values that have emerged from a feudal society, while also encountering the harsh realities of a changing economic and social contexts and poverty. This is a form of labour that only gives women just enough revenue to avoid hunger, while the misery of poverty persists. Several Asian Tigers including Korea, Taiwan, Malaysia, Thailand not only recognized but harmonized the potential of such semi-skilled informal homebased workers and used them as drivers their impressive economic development. In Pakistan, however, this work force is not only grossly neglected but on the mercy and whims of market forces and investors. No law or policy guarantees basic rights of this large workforce. This productive work force is not recognised as ‘workers’, hence cannot qualify for formal social protection mechanisms. They form 65 percent of total women workforce but are the least-paid and most-exploited in the value chain of production processes. Most of these women workers are handicapped due to limited mobility and negligible understanding of market pricing mechanism. So, they are unable to negotiate for decent wages, reasonable working hours and conditions. In the absence of any legal or policy protection and rights they are exploited by middlemen, factory owners, market forces and industrialists. Paradoxically, the government has also not recognised the status and contribution of this work force. In many parts of the third world, including Pakistan, there are continuous efforts to pressure governments to provide worker status to homebased workers. For instance, in Pakistan, a draft national policy for homebased workers is still pending acceptance. In addition, the ILO Home Base Work Convention 1996 (C 177) still awaits ratification by the government. After 18th constitutional amendment labour development has become provincial chapter. No significant efforts to introduce policies or laws have been initiated thus far. Homebased worker unions and federations all over south Asian countries will be celebrating week of action starting October 20, 2011. Groups in Nepal, India, Bangladesh, Sri Lanka, Bhutan and Maldives will be celebrating their achievements and committing for continued struggle. Homebased workers in Pakistan have little to celebrate as their struggle to have better policies and laws guaranteeing rightful status and conditions are far from achieving basic results. Government, investors, industrialists and civil society in Pakistan need to collectively understand and decide how they want to see the potential and contribution of these women workers in the economic planning and growth of this country. The answer will determine economic development of this country. Pakistan, was published by Vanguard Press, Lahore, in October 2010. The illegal trade of tobacco products, for instance, not only weakens a country’s ability to improve health of its populace but also takes away billions of dollars in tax revenue from national capital. According to news and data reports, during the fiscal year 2010-11, the total contribution of cigarette industry to national exchequer was recorded to be Rs.58.5 billion while it was Rs.55.9 billion in 2009-10. Total tax evasion by the cigarette industry has made the government bear the loss worth Rs 7 billion in 2011 till date, counterfeiting caused Rs1 billion loss while smuggling resulted in the loss of Rs 2.5 billion. So, in 2011 till date, the government has faced the loss worth Rs 10.5 billion while it was Rs 9.5 billion in 2010. The total tax revenue earned in 2010-11 remained Rs 58 billion while it was Rs 55.9 billion in 2009-10. Minimum cost of cigarette pack including sales tax was Rs 19.49 in 2010 which increased to Rs 22.42 in 2011 till date. Counterfeit cigarette manufacturing locations are mainly in Chakwal, Sargodha, Okara, AJK and NWFP. Almost 20-25 units are working in such areas. Pakistan Tobacco Industry (PTI), which plays an outstanding role in Pakistan’s economy is facing hurdles like tax evasion, smuggling and counterfeiting. It contributes approximately US $ 1 billion to the national economy and provides direct employment to some 253,000 people in farming, manufacturing, distribution and retailing and indirect employment to some 87,000 people. Unregistered cigarette manufacturing units ostensibly force tobacco farmers to grow substandard tobacco harvest. Their low-quality tobacco is used for producing substandard cigarettes which helps them to get large portion of the profit but the darker side is that they not only play with the health of consumers but also involve smuggling. These illegal practices are damaging the local cigarette industry. One can witness the influx of smuggled goods in Landi Kotal, Chaman, Quetta, Bara, Pat, and Peshawar, etc. Cigarettes are being smuggled from Afghanistan, Iran and Dubai. The huge access of the smuggled products into local market not only damages the local market but also affects foreign investment. According to a study, Korea and China are the major sources of cigarettes smuggling from where various cigarette brands are illegally transported to Afghanistan every year. The Federal Board of Revenue had finalized plans to launch a crackdown against the rising trade of foreign brand cigarettes smuggling into the country to protect the local tax-paying cigarette industry and counter growing revenue losses. According to an official, cigarette smuggling is increasingly damaging the government’s initiatives to expand tax revenue. They have been working to set up a number of teams in all the four provinces where they would conduct raids at the already marked dumping places. According to their estimate Pakistan is putting up with an annual loss of around Rs. 7.4 billion in terms of revenues and investment inflicted on the cigarette industry due to continued smuggling and illicit trade. The FBR’s counter smuggling report had also highlighted that local markets were flooded with smuggled cigarettes which are easily available at retail outlets. Their findings also said that some of the smuggled cigarettes were also without health warning. which is mandatory under the ministry of health rules, on cigarette packing. Illegal cigarettes and brands having lesser price than the specified rates available in the markets is a clear violation of rules and clearly shows that illegal manufacturers are not paying excise duty to the government. According to unofficial data about the fiscal year 2007-08 smuggling, tax evasion and counterfeiting only in cigarette industry deprived the national exchequer of billions of rupees in tax revenues which was, no doubt, a heavy loss. The total licensed manufacturers are more than 50 in Pakistan. In the fiscal year 2009 Rs7.2 billion revenue loss was inflicted by corrupt elements upon the government included Rs5.6 billion due to tax evasion, Rs240 million as a result of counterfeiting and 1.32 billion through smuggling. In 2008, the annual revenue loss from these evils was Rs7.4 billion including 6 billion rupees due to tax evasion, 250m rupees as a result of counterfeiting and Rs1.22 billion on account of smuggling whereas a year earlier total loss to GOP was Rs. 6 billion. The pattern shows continuous growth of counterfeiting, smuggling and tax evasion. According to last year’s data, Pakistan’s total cigarette market was around 72 billion sticks in which legitimate sector supplied 59 billion sticks to the market, the remaining 13 billion sticks were either counterfeited, non-duty paid or smuggled into the country to save excise duty or tax evaded. Illegal trade is a very serious threat to the licensed manufacturers in the tobacco industry and to the national exchequer as well. 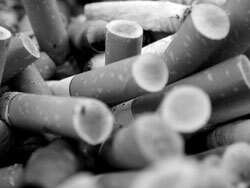 During 2005, the illicit cigarette trade remained around 23 percent of the total cigarettes market of 74 billion cigarettes. The major chunk of this segment is with the local Duty Not Paid sector (DNP) in NWFP and AJK besides other parts of the country while other elements i.e. counterfeit and smuggling are around 2 percent of the total illicit trade. A common allegation against multinational corporations (MNCs) is that by virtue of their large investments, they coerce host governments into pursuing policies suitable to their interests at the expense of those of the domestic industry or consumers. While this allegation is not always tenable, it does hold in case of the proposed changes in the drugs regime of Pakistan, as MNCs want the government to incorporate provisions relating to data exclusivity in the domestic law for registration and marketing of medicines and agro-chemicals. The basic argument of the MNCs and their parent countries, notably the US and the European Union (EU), is that the TRIPs Agreement of the WTO, which deals with the protection of intellectual property rights, mandates member countries to ensure protection of clinical test data submitted by pharmaceutical companies to drug regulatory authorities or agencies (DRAs) against unfair commercial use. This obligation, the argument goes, includes not only data protection but also data exclusivity. In order to get registered a new medicine it intends to supply in a country, a pharmaceutical company is required to provide clinical test and other relevant data to the DRA. The test data is necessary to demonstrate product safety, quality and efficacy. The purpose is to ensure that the product does not have any adverse effects on humans (in case of medicines) or the environment (in case of agrochemicals). These tests entail a lot of investment, which may deter potential competitors from entering into the market. When manufacturers subsequently apply to register a generic version of an already registered medicine, they only have to demonstrate that their product is equivalent to the original one. To test safety and quality of that generic product, the DRA relies on the data submitted by the original manufacturer and the generic manufacturers are not required to submit their own data. This encourages the entry of other players in the market and thus promotes competition. By contrast, data exclusivity provides that for a fixed period the DRA cannot rely on the data provided by an original manufacturer in order to register a generic version of that medicine. This leaves potential competitors with two options: either to make a similar investment in clinical testing or stay out of the competition. Obviously, generic manufacturers are seldom in a position to make the required investment in clinical testing and thus opt to stay out of the market. The result is that during the period of data exclusivity, DRAs cannot register generic versions of a medicine unless that latter manufacturer carries out its own tests — which is seldom the case — demonstrating product safety, quality and efficacy. Data exclusivity is independent of patents and may create a monopoly for a fixed time even when the patent has expired or has not been granted. Even when a patent is available, data exclusivity may prevent the government from granting a compulsory licence in the interest of public health. Even if a compulsory licence is granted to a generic manufacturer, it will not be able to use that for a limited period. Therefore, data exclusivity runs counter to the very reasons for compulsory licensing of patents for medicines. 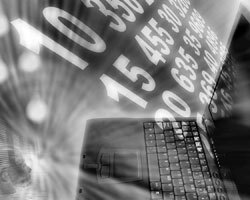 In contrast to a patent, data exclusivity does not require any inventive activity for it to be granted. All it requires is investment made in carrying out clinical teats to demonstrate product safety. This makes data exclusivity much stronger than patents. It is obvious that data exclusivity restricts competition and creates a monopoly for a fixed period. As a result, prices of medicines escalate raising healthcare costs. That is why MNCs try to prevail upon host governments to grant data exclusivity and thus to minimise competition. Data exclusivity is in vogue in many developed countries. In USA, data exclusivity is granted for five years, while in European Union countries, it is available for 10 years. The perusal of Article 39 (3) shows that it imposes two sets of obligations on WTO member governments. One, the DRAs shall protect data against unfair commercial use, for instance, against the use by the government itself. Two, the data shall not be disclosed to third parties unless it is necessary in public interest. In the event that the data are disclosed, the government has to ensure that steps are taken to prevent its unfair commercial use. Without getting into the controversy of what constitutes fair and what constitutes unfair commercial use, one can safely say that whatever obligation does the Article 39 (3), or for that matter the entire TRIPs Agreement, create is with regard to protection of data against unfair commercial use. Besides, the Article does not provide any time limit for data protection, which means that it has been left to the discretion of member countries to decide for themselves how long protection should be granted. The TRIPs Agreement does not create any obligations with regard to data exclusivity. Members may have data exclusivity provisions in their domestic IPR regimes, but then such provisions would be TRIPs plus and hence, beyond members’ obligations under the WTO. Data exclusivity regimes make sense in developed countries for two reasons. One, these countries have immense innovative capacity and pharmaceutical companies may come up with their own data. Two, rich developed countries are in a position to subsidise the purchase of otherwise expensive medicines to their citizens and thus shield them from having to pay higher prices. However, developing countries, like Pakistan, have neither the comparable innovative capacity that would allow their domestic pharmaceutical companies to come up with their own test data nor the means to subsidise the purchase of costly medicines. Coming back to Pakistan, in case the provisions regarding data exclusivity are incorporated into the drugs regulatory regime, the benefits will accrue to MNCs at the expense of the domestic industry and the people. Data exclusivity will force generic manufacturers to stay out of the competition and increase the share of the MNCs of the domestic market. This will confer monopoly rights on MNCs, resulting in escalation of prices of medicines and increase in healthcare cost. The ultimate losers will be the poor people, who already have limited access to cheap medicines. Already, MNCs are in a much stronger position than the local pharmaceutical companies. While the number of domestic pharmaceutical companies is 380, their share of the local market is 47 per cent. On the other hand, while the number of MNCs is 28, their market share is 53 per cent. The government should resist the pressure of the MNCs to incorporate data exclusivity provisions in the relevant laws. Being a member of WTO, Pakistan’s obligation is only to comply with TRIPs provisions when it comes to IPRs and not with any TRIPs plus provisions. This is especially important when it is a question of providing cheap medicines to the people. An amendment in the election law promulgated by Parliament earlier this year has made Computerised National Identity Cards (CNICs) mandatory for registration and casting of vote, when more than 93 percent of adult population has registered themselves with NADRA. This is a historic step that promises to bring greater transparency in the next general elections. This is an area where elected parliamentarians deserve much credit. It was a longstanding demand of all political parties, civil society and media to conduct free and fair elections. In a country whose birth was itself the outcome of electoral ballot, it is very open secret that scientific rigging in elections has remained a festering issue that has often marred the credibility of the electoral process. In the backdrop of this important legislation, it was obvious that the institution responsible for maintaining civil registry was to be involved in updating the electoral rolls. Civil registration will be used this time to conduct meritorious elections, a practice followed in most civilized democracies. The Election Commission of Pakistan (ECP) has sought the extended involvement of NADRA in the election process to ensure computerized credible, fair and accurate electoral rolls with a vision of ‘one voter, one CNIC, one vote’. NADRA has agreed to participate in this important exercise and a contract with a framework for ‘rules of engagement’ was signed between the two parties. Use of modern technology would put a tab on interventions by “various individuals and institutions” need not to be named. There is a hope that harnessing technology in the electoral process would go a long way towards bringing greater transparency and credibility to the electoral process. Transparency of voters list is of utmost importance but it remained the most neglected domain in a country like Pakistan where vote counting has become more important than vote casting. Reconciliation of Final Electoral List 2007 (FER 2007) with NADRA followed directly from a strong demand by political parties to streamline the electoral lists. The only way to comb old voters list out of ‘unverified identities’ was to reconcile it with civil registry known as Citizens national database. Already, NADRA has issued 87.5 million CNIC against the projected 93.8 million adult population. It thus covers 93 percent of eligible voters. These citizens have come to NADRA during the last 11 years and recorded their digital finger prints and photographs. 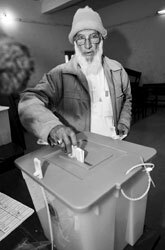 Here, it should also be considered that the remaining 7 percent population is not disenfranchised but have the option of inclusion in Final Electoral Rolls subject to obtaining CNIC during Door to Door verification, Display period through claims or objections and through continuous revision till announcement of election schedule. The strategy was, therefore, simple. It involved reconciling voters list used in the last election with the citizens database in accordance with the business rules duly approved by the Election Commission of Pakistan (ECP). In this process, CNICs in the voters list were verified. The successfully verified voters were retained, while the unverified names were removed and augmented with what NADRA was left with. So, here is how it worked: if you were registered with a fake identity card in voters list, you are out, if you were registered multiple times. So, if you are a Mr from Gujar Khan who is registered 26 times in 5 constituencies in a 3 hour drive radius, one of your records is retained, while the remaining 25 are gone. What is more, in case you are absent from the previous voters list but recorded in NADRA’s citizen database, your name is added to the draft electoral list. Election Commission of Pakistan took an initiative to start consultative process during this exercise. All political parties were briefed about strategy and were updated with progress through four sessions. Suggestions and feedback of political parties were incorporated into the programme. This not only helped build confidence of major stakeholders in electoral process but also brought political transparency in this revision process. For its part, NADRA has successfully completed the task of printing the draft electoral rolls consisting of more than 80 million eligible voters under the close supervision of ECP. The electoral rolls have been handed over to ECP for further scrutiny and door to door verification. So far so good. But, as NADRA and ECP were trailing smooth on the project highway, we encountered a major speed-breaker. The Population Census Organisation (PCO) has curiously timed the undertaking of the census after 13 years. The PCO have now become a major player in this project, since in the aftermath of the housing census the census organization is likely to increase the total number of census blocks (or, electoral area blocks) from 102,000 to 149,000, where each block consists of 250 families. Such a major reshuffling of demographic definition, due to an increase in population meant that NADRA and ECP had to reassign each voter in the right census or electoral block. The quick fix to the problem was that ECP gave a form to the housing census department that could be readily used during the census to record information linking CNICs with the voting location. NADRA had to realign voters’ list as per information provided by the census organization and print it for ECP’s scrutiny. The Election Commission of Pakistan Team comprising of 211,000 members is now making a door to door contact to re-verify the voter’s information. This would help to map the CNICs of voters with respect to their census blocks. As citizens demanding rights, it is our obligation to cooperate with the verifying staff knocking our doors. If change in electoral area is required, Verification Officer will fill form Alif for single voter and Form 2 for family or group of voters. If the voter is dead or shifted to another location, the family needs to report this to Verifying Officer who will fill Form-B; and voter’s particulars on Draft Electoral Rolls requires correction, staff needs to be assisted in correcting the record in Register J in accordance to particulars available on CNIC. Once these changes are submitted back to NADRA, we will digitize them and subsequently print the ‘Preliminary Electoral Rolls (PER)”, which will be displayed according to law for a predetermined duration for the filing of objections and claims. Again, NADRA intends to support the ECP using modern technology by providing an outreach to eligible voters using SMS technology. This would help check where one is registered as a voter and, if so, in which electoral area. During current door-to-door verification exercise the NADRA teams are facilitating the registration of eligible voters that have not been registered so far and in rectifying errors in the list. NADRA’s 800 data acquisition units, including 220 mobile registration vans and offices countrywide had been directed to work with the district election staff. Citizens without CNICs would also receive support during the ongoing verification exercise. Potential voters have the leverage to opt for their permanent or temporary address for exercising their right to vote. The Final Electoral Rolls (FER) will be printed before the next election and, in order to bring more transparency, it has been decided that the FER will contain photographs and thumbprints of the voter. Blank spaces will be left on the FER for capturing thumbprint using magnetic ink before a voter casts his/her vote. Presiding officer will ensure that the left thumb impression is captured at the time of issuance of ballot paper which will then be automatically scanned and matched with the corresponding CNICs using NADRA’s finger printing software. If pursued with diligence, sincerity and transparency, the above-mentioned changes will bring a qualitative change to the electoral process, making it more credible in the eyes of the public. The Arab League has proclaimed the ‘end of tyranny’ in the Middle East. I guess this means, by implication, that the Gulf sheikdoms are healthy, functioning democracies? Or are we to assume that the Arab League press secretary issuing this statement actually meant to say that the death of Qaddafi signals the end of tyranny only in Libya? 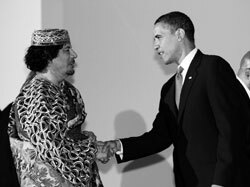 Should we not bother to scrutinize the credentials of the ‘heroic resistance’ to Qaddafi that will now clamour to take power in the aftermath of his demise? Should we give the post-Qaddafi regime our blessings just as we did the Northern Alliance in Afghanistan and the types of al-Maliki in Iraq? The end of Qaddafi has confirmed only one fact: that the lies behind the campaign to dislodge him will give way only to more lies as ‘democracy’ takes root in Libya. It is a familiar story in this era of ‘humanitarian interventions’ and ‘preemptive strikes’. Many progressive commentators offered qualified support to the bombing of Libya when it started a year or so ago, and did so with a heavy heart. 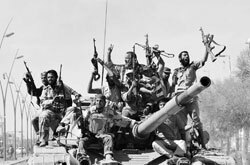 It is immaterial now whether or not that position was the correct one — those who supported the policy of regime change knew even before the NATO campaign started that the end result would be anything but a lasting peace and genuine democracy in Libya. Who knows which ‘tyrannical’ regime is next? Iran? Syria? Venezuela? We know it will not be Saudi Arabia or the United Arab Emirates. In any case, the global military-industrial complex — with Washington at the spearhead — will continue to find ways and means of perpetuating ‘permanent war’. And what of our region? ‘Afpak’ as the Obama administration likes to call it, remains an intractable ‘problem’. The selective demonisation of the Pakistani establishment – which does progressives within this country no favours – is unable to mask the fact that the American war strategy is a colossal failure. Everyone involved – Washington, Kabul and Rawalpindi – is playing hide and seek, and there is no end in sight. For a change, the obfuscation associated with imperialist military adventures around the world is not the only game in town. The world’s media tried as hard as it could to avoid mention of the spread of the so-called ‘Occupy Wall Street’ movement, but developments in recent days have made a continuing media boycott untenable. For most of human history, the irreconcilable conflict between oppressors and oppressed has been latent, bubbling below the surface. From time to time, the contradictions erupt and their scale becomes apparent for all to see. The massive anti-war protests in February-March 2003 were the last such conjuncture. We are now in the midst of another one. Of course, the fact that we are currently witnessing overt opposition to the system — and not just to its many destructive symptoms — does not mean that substantive change is on the immediate horizon. As commentators, such as Immanuel Wallerstein, have pointed out, the forces of the establishment — in the US in particular — will now organise concerted ‘popular’ opposition to the Wall Streeters and their counterparts around the world to delegitimise the critique of capitalist imperialism that is currently taking centre stage. The movement will likely be pushed back by a combination of fatigue, a lack of internal consensus and ideological and political attacks from the right. But the point has been made: the capitalist world-system is beset by contradictions and sweeping them under the carpet will not make them go away. It may be a bad analogy but the situation unfolding presently at the global level is not all that different from what has happened within Pakistan in the recent past. Various events have made clear the folly of insulating an all-powerful military establishment from criticism, vis a vis both its claim to being the guardian of the state’s ideological frontiers and its official role as the guardian of our physical borders. This triggered a host of unprecedented dissenting opinion within the intellectual and political mainstream (or rather it meant that establishment hangers-on chimed in with those of us who have been crying foul for decades). There were even myriad political demonstrations demanding military accountability and the like. But true to form the right-wingers hit back and the age-old narratives featuring the ‘foreign hand’ and the ‘threat to our nukes’ rhetoric reappeared with a vengeance. However, the contradictions of the structure of power in this country, our bloated and self-obsessed military, and an untenable ‘ideology of the state’ cannot now be pushed back into the genie’s bottle. So the killing of Qaddafi will not herald a new dawn in Libya, just as the toppling of Saddam or Mullah Omar did not result in a rejuvenated Iraq or Afghanistan, respectively. Even more organic ‘regime changes’ such as the overthrow of Hosni Mubarak by the people of Egypt promise only that something will change — it cannot be known exactly what the change will be and the extent to which this change will benefit ordinary people. Indeed, the only thing for certain is that nothing is forever, and that social change will continue, regardless of whether or not particularistic ideologies or movements proliferate or peter out. That does not mean to say that one should not strive for the kind of change that one believes will make the world a better place; this is exactly what the Wall Streeters and those acting in solidarity with them around the globe are doing. Similarly, there are millions in Libya who have been resolutely resisting the excesses of Qaddafi’s dictatorship for decades. It is they who are ultimately to be congratulated for the fall of an autocrat who overstayed his welcome. Unfortunately it is the cultural artifact called the ‘West’ that is taking all the credit for ‘liberating’ Libya. It is this same artifact that will probably leave behind at least as big a problem as Qaddafi for the principled opponents of tyranny. It is these impostors and their mouthpieces in the Arab countries and beyond that continue to hold the world hostage to their brand of ‘democracy’ and ‘freedom’. In the words of the Wall Streeters, this is the 1 percent that must be exposed and challenged. They might not be showing it, but the 1 percent is looking nervously around its shoulder. The oligarchy might not be overtly threatened in the here and now but is our duty — the 99 percent — to keep pushing. And that we will. The News on Sunday (TNS): What are the major areas that need to be focused on to bring prosperity to Pakistan? Do you think we need a country-specific plan for development or international models are workable here? Qazi Azmat Isa (QAI): I think the most urgent needs of the time are strengthening of institutions and restoration of hope among the masses. Countries with strong institutions in place have achieved positive results while others with similar structures, resources, and problems have failed to make any progress in their absence. For example, health and education are very important and a lot has been invested into them in Pakistan. But the results are not satisfactory mainly due to the absence of quality institutional structures to execute plans. Secondly, hope is always necessary to achieve success. It’s there in the form of dynamic people who must take charge of their own lives. At PPAF, we work with the institutions that support and involve the poor. Pakistan is a country with huge population and heterogeneous cultures. Therefore, we cannot apply a uniform model. But what we must assure is that values must not lack governance, participation, transparency and legitimacy. In Afghanistan people took charge of their lives within three years when they found institutions legitimate. Communities voted and elected people to represent them in the execution uplift projects. This is exactly what we try to ensure here. PPAF has an institutional development unit which focuses on inclusion and participation of people in different projects. I believe public display should always be there and know the sense of deprivation and not being part of a process hurts. If poor are not partnering we do not want to do that work. TNS: What do you think are reasons behind failure of several development plans and poverty eradication programmes in the past? QAI: There are different reasons but one thing that has been missing badly is the inclusion of all in the growth process and equal treatment to all of them. In other words, the small and big will have to come together to achieve the desired results. It’s strange that FATA and Gilgit-Baltistan are not even covered by the Constitution of Pakistan and run under FCR Regulations. What does it take to fix things and get rid of FCR? Why can’t we hold plebiscite there and make them part of the federation. Secondly, we have seen the poor have lacked negotiating powers. They need to be given a tangible sense of empowerment. This is exactly what we did by forming an apple growers’ association in Balochistan. These small farmers are now part of a common interest group which can negotiate with traders and dealers and get better prices for their produce. There are two types of poverty: poverty of means and poverty of mind. Both of them should be tackled simultaneously. In fact, all suffer from the poverty of mind which means we are not ready for change in our lives and attitudes. We have strong stereotypes and hardly challenge the status quo. In words of Mao Tse Tung, when no one opposes you are not doing anything. I strongly believe social workers learn a lot while interacting with the community along with overcoming the trust deficit that often exists between them. TNS: How effective microfinance has been in eradicating poverty in our country? Can we compare our poverty alleviation programmes with the ones in Bangladesh? QAI: Microfinance is a very effective tool in bringing prosperity to the poor and results have been very good in Pakistan. Like anywhere else in the world, the women have proven to be the best utilisers of microfinance. PPAF has extended over 4.7 million micro-credit loans impacting directly or indirectly 31.6 million people (51 percent female beneficiaries) and the recovery rate is almost 100 percent. However, one thing to be kept in mind is that they are meant only for the entrepreneurial poor. They are those who have the capacity to make a living by investing small amount of money and return it to the donor. For those who are not capable of doing this, we have launched asset transfer schemes. Under these, ultra poor communities are given things like hen, livestock, etc, worth Rs30,000 at the most to earn their livelihood. I would like to quote the example of Khel community settled along the Indus in Dera Ismail Khan. They had no land ownership and would beg all along the day. The members of the community were given cycle carts worth Rs18,000 each to earn their livelihood. I feel glad to share it with you that within a year, 130 to 140 households have raised around Rs7,00,000 to buy land and win permanence. This is not the end; they are now planning to set up a school for their community. Coming back to microfinance, I would say Pakistan’s is a different case from Bangladesh which enjoyed continuous donor support for 30 years and succeeded in developing institutions like BRAC and Grameen Bank. On the other hand, flow of donor money into Pakistan has been erratic and often suspended due to various reasons. One of the severest blows came when we conducted nuclear tests. Similarly, the civil society has not been as strong as in India, Bangladesh and Nepal. PPAF, the premier microfinance provider in the country, is funded primarily by the World Bank and the Government of Pakistan. In fact, it was envisaged keeping in view the problems faced by the country due to the repeated discontinuations of donor money. TNS: You are wooing investors from Gulf countries to help eradicate poverty in Pakistan. How can their investments help achieve this goal? QAI: This is linked to what I have just said. PPAF, which has enjoyed regular support of government and donors, now wants to see how much confidence the countrymen have in it. My point is if expatriate Pakistanis start adopting a village, a family or an individual it will make a lot of difference. PPAF can give them report of every dollar spent on people and not charge a single penny under administrative expenses. The country receives $1 billion a year in remittances which is no small amount at all. TNS: Growth of militancy in FATA, Balochistan, etc. has been linked to poverty in the area and a sense of deprivation among its people. Are there any special allocations for these areas? If yes, would it be easy for the development sector professionals to work in these volatile regions? QAI: This is true, all these things are interlinked. That’s why PPAF has revised its strategy under which it would prioritise districts on the basis of three indicators. These are the Human Development Index (HDI) of a district, its food insecurity ranking and the level of poverty. Under this plan, allocations for FATA and Balochistan are much higher than they would have been on the basis of population. Southern Punjab, Gilgit-Baltistan, KPK also stand to benefit from the formula, which calls for interventions in areas that need them most. The risk is very much there but we feel comfortable due to the involvement of community-based local partner organisations in conflict zones. However, we never risk the lives of our workers, partners and the. The projects are launched in different areas according to the local needs. For example, we are setting up road infrastructure in FATA, developing farm to market linkages in FATA and Balochistan, running coastal development plan in Badin and Thatta and so on. TNS: What’s the level of confidence the government and international donors have in PPAF? QAI: PPAF has won the confidence of international donors through transparency in finance utilisation. Every single penny spent through PPAF on the poor and marginalised communities can be traced. We have tried to ensure that the donors’ money is spent on the improvement of lifestyle of the non-privileged segments of our society. It is the confidence of international donors’ community that the World Bank has given 5-year funding to PPAF for the third consecutive term. Right now more than Rs 110.5 billion have flowed through PPAF to over 89,000 villages and settlements through 297,000 community organizations in 129 districts of Pakistan, without any trace of corruption or mismanagement. PPAF had disbursed Rs26.945 billion for the rehabilitation of Internally Displaced Persons (IDPs), 2005 earthquake affectees, and people displaced by worst flood of 2010 and 2011 in Punjab, Sindh, KPK, and AJK. PPAF has completed over 25,000 health, education, water and infrastructure projects impacting 15.8 million across the country. In view of its national network, outreach and impeccable track record, the government assigned PPAF the task to take care of housing, water, infrastructure, health, education, training and disability management in eight districts of earthquake-affected areas of AJK and KPK. It has disbursed assistance for 120,000 housing units, trained over 108,000 individuals in seismic-reconstruction technologies, rehabilitated over 400 damaged water and infrastructure schemes and reconstructed 19 health & education facilities in the quake-hit areas. Both Pakistan and India are members of the World Trade Organisation and also of the South Asia Free Trade Agreement. The WTO agreement requires each member state to grant Most Favoured Nation (MFN) status to all other members to facilitate smooth trade flows. SAFTA takes up closer economic cooperation among all member states of SAARC. Alas, in the case of Pakistan and India there are several bottlenecks in achieving harmonious trade relationship in spite of both the agreements. Why should the status remain status quo, when both will gain hugely? The intra-regional trade in South Asia has been relatively low, owing much to the geo-economic dynamics as well as other factors, and not merely the existing tariff regimes. Some of the impediments to low regional trade include high transaction costs, limited port and transport infrastructure, and crucially, the lack of political will. The intra-regional exports in South Asia stands at an estimated US$9.3bn as compared to a huge US$2,961bn of intra-EU exports and US$193.8bn of intra-ASEAN exports. In 2010, the bilateral official trade between Pakistan and India stood at an estimated US$1.83bn. India accounts for approximately 1.2 percent of Pakistan’s global exports, while Pakistan accounting for less than 0.9 percent of India’s global exports. In an ongoing study on costs of economic non-cooperation in South Asia by CUTS, Jaipur and SDPI, Islamabad, and other partners, supported by The Asia Foundation, it was found that annual welfare gains to Indian consumers by importing certain products from Pakistan would be around US$4bn and similarly it would benefit Pakistani consumers by US$280mn by importing certain products from India. Considering the population of Pakistan at 17.8mn, this would translate to US$15.73 per person, and 1.2bn people in India would mean a gain of US$3.30 per person, annually. The big figures apart, the gain to Pakistan would be nearly five times that of India. The gains can come from areas such as farm goods, automobile spare parts, and pharmaceuticals. For instance, India enjoys such advantages in cotton, textiles, coffee, tea, spices, man-made fibres and vegetables products. This will also help in increasing the level of intra-industry trade between the two countries which stands at a low level despite geographical contiguity and cultural affinity. The recently concluded visit of Pakistan’s commerce minister Makhdoom Amin Faheem to India has given a strong boost to the business community, especially in terms of confidence building. The 80 member Pakistani business delegation which represented 26 sectors of the economy was an effort toward more broad-based and deeper engagement. India has global competitiveness in production and export of services. India’s global services export accounts for US$109.5bn as compared to Pakistan’s US$2.7bn as of 2010. Potential for bilateral cooperation exists in several services sector including IT and IT enabled services, telecommunications, professional services (incl. architecture, construction and engineering), healthcare services, audio-visual services and cinema, higher education and tourism. Service trade accounts for more than half of the GDP in most South Asian countries and the region is emerging as a major exporter of commercial services worldwide. Tragically, services continue to be out of SAFTA. Owing to high trade costs, an estimated US$3bn of informal trade happens between the two countries, which also breeds corruption. This can be brought into the mainstream economy through better trade facilitation measures. The economic integration need to be seen in a larger perspective by aligning SAFTA with Association of Southeast Asian Nations (ASEAN), thus having ASEAN as a partner in the east, and Economic Cooperation Organisation Trade Agreement (ECOTA), which comprises of Afghanistan, Pakistan, Turkey and Central Asian republics, in the west. It is important for both sides to implement all mutual obligations under SAFTA. This would help create an enabling environment for engagement. Pakistan continues to maintain a long sensitive list currently covering 1169 items, which needs to be pruned. Further, steps need to be taken for the removal of non-tariff barriers. The announcement by Pakistan’s commerce secretary that petroleum products from India will not be on the negative list will eventually lead to a new chapter in bilateral trade. India has high global competitiveness in petroleum products being the largest exporter in Asia accounting for an estimated average of 1mn barrels of petroleum products exports per day. The two sides recently discussed the issues of investments and joint ventures in New Delhi with lot of optimism. We need to wait and watch for some decisions on this issue, which can have pragmatic implications for business. However, it is pertinent to note that opportunities for investment cooperation do exist in the areas of agriculture and food, small businesses, manufacturing, electricity, trade-related infrastructure, and oil and gas. The two sides have already agreed to constitute expert groups on energy and petroleum. On the issue of grant of MFN status to India, there is some hope. The Pakistani business delegation has strongly voiced in favour of removing this anomaly, and possibly such views can be taken up further during successive negotiations. Even during the visit of Indian commerce secretary to Pakistan in August this year, this issue was discussed and Islamabad agreed to put it on the agenda. Interestingly, the MFN status for India would pave the way for deepening not merely the trade ties but the whole gamut of cooperation in a geo-economic perspective. But it should be done sooner than later. In successive negotiations at high level, an important matter of concern should be trade facilitation measures which presently include stringent customs and other administrative procedures. Also the lack of attention toward adequate transport-related infrastructure development is taking its toll leading to increased freight and time costs. 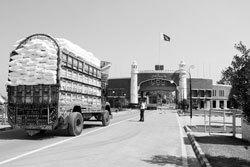 These non-price trade costs are largely hindering the movement of trading commodities, especially those traversing through the much desired Wagah-Attari land route. The energy supply routes especially the gas pipeline is a vital economic as well as a strategic necessity for both the countries for procuring a cost-effective natural gas supply. The failure to build common minimum consensus has already left the Iran-Pakistan-India (IPI) gas pipeline in a limbo. It is now upto the two governments, both at the level of commerce and diplomacy, to negotiate on the newly proposed Turkmenistan-Afghanistan-Pakistan-India (TAPI) gas pipeline, and prevent another such fiasco. This pipeline would help both India and Pakistan secure their natural gas supplies. The signals given by Pakistan’s minister toward the strategic importance of ECOTA can well serve this purpose. Though the complexity factor historically attached to such interactions are deemed to continue, yet it reflects an increasing realisation between the two countries for mutual co-existence and interdependence. And this is what is the need of the hour. It is in the best interest of both sides to understand that this bilateral engagement is but a national necessity. Therefore, the two countries need to revisit their global repositioning in order to jointly play a pivotal role in evolving both the South Asian geo-economics and also envision the evolution of the Asian Economic Community. Pradeep S Mehta is Secretary General, CUTS International, Jaipur, India. Abid Suleri is Executive Director, Sustainable Development Policy Institute, Islamabad, Pakistan.